With the encouragement of several friends, I plunged into a second book about the fictitious Pastor Paul Walker at Trinity Lutheran Church in Weston, Indiana. My first draft in 2011 was really a collection of short stories, unfit to be called a novel. My re-write wove these stories together by introducing an antagonist, Liz Sterling, whose efforts to remove Pastor Walker nearly succeed. I found it difficult to use the same characters, but not repeat much of the plot from the first book. I wanted a connection, but didn’t want to bore the reader with repetition. I hope I succeeded. 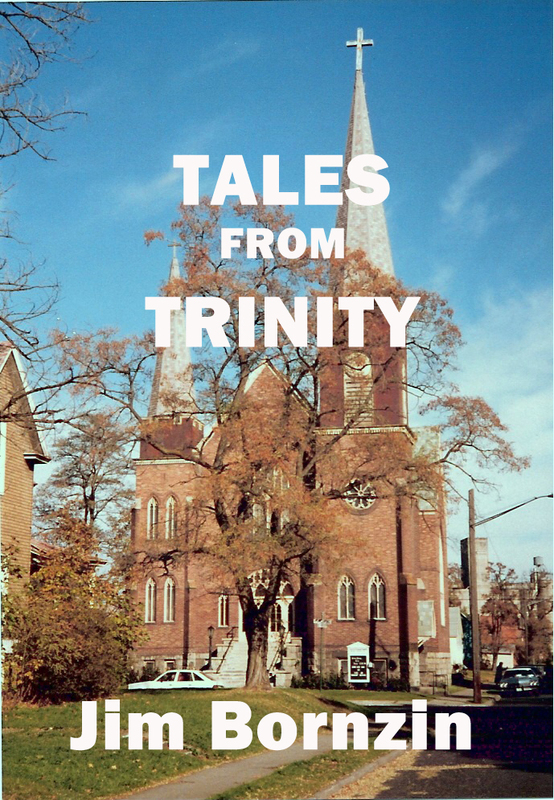 TALES FROM TRINITY is a Lutheran patchwork quilt. Pastor Paul Walker’s family and church members are stitched together by a God who is always at work behind the scenes. Liz Sterling, church treasurer, is also at work behind the scenes, seeking a way to discredit Paul and have him removed as pastor. Accused of embezzling church funds, Paul searches for help to prove his innocence. Mike Greenwood shares his personal journal of two significant losses during his high school years. His best friend, Brian is found dead in the church. Mike’s girlfriend dumps him in favor of the high school quarterback, and then wonders how her life became such a mess. Meanwhile the pastor searches for Reiner Holtz, whose conspiracy theories have put him on the brink of insanity. In the midst of laughter and tears God’s grace is pulling together a faith community of healing, hope, and joy.